Anchor Motel and Cottages rates and reservations for our cottages and motel rooms. 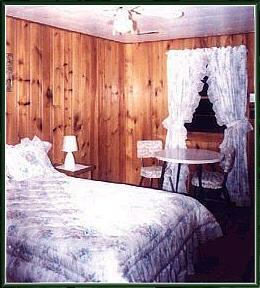 Reserve Your Motel Room Or Cottage Here Online, Or Give Us A Phone Call. Click on any of the following buttons to check on availability and rates for any of our accommodations. Click this button to see all cottages, motel rooms, and to make reservations online. Click this button to see all cottages and make reservations online. Click this button to see all motel rooms and make reservations online. If for any reason you have problems with our online reservation program, please don't hesitate to give us a phone call 440-466-0726 or 888-565-6066. Anchor Motel & Cottages has 10, two-bedroom cottages that sleep two to Six persons. Complete bed linens are furnished. Note: Our cottages require a two-night minimum stay. Each has a standard kitchen with a microwave, coffee pot, toaster, stove, refrigerator, and kitchen table. 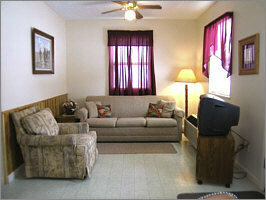 Each has a living room with cable television, sofa bed, chair, air conditioning and heat. We furnish linens, silverware, and dishes. You provide your Kitchen and Bath Towels. There is an outside gazebo for relaxing, reading and for visiting with others, and we have a shaded picnic area with tables and chairs. There is a patio or deck on each cottage for your enjoyment. Anchor Motel & Cottages has 34 motel rooms, and our facilities are CLEAN and well MAINTAINED! Village Park, Night Clubs, Arcades and more. • We offer Packages for Reunions, Rally's and other Group Events. • Clean, comfortable rooms with air conditioning and heat. • BBQ grills (you bring the charcoal) and shaded picnic area. • Cable TV with Free Movie Channels and WI-FI. • Front door parking. Refrigerators, microwaves, and coffee makers. 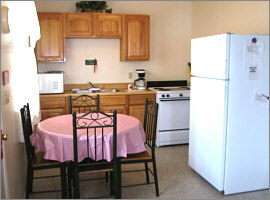 • Cottages are fully equipped with linens, and cooking and eating utensils. • Rooms are less than a 5 minute walk from area attractions. • Less than a 10 minute drive from Geneva State Park Beach and Marina.